TPU is a soft and elastic material, it occasionally gets stuck on the bite gear due to resistance, So you need high temperature and slow printing, and keep it free from drag. TPU is particularly fluid, particularly delicate, set the accuracy of printing 0.3mm can achieve the accuracy of PLA 0.1mm! Depending on the blend used, TPU can be very soft (elastic). TPU is a soft and elastic material, it occasionally gets stuck on the bite gear due to resistance, So you need high temperature and slow printing, and keep it free from drag. TPU is particularly fluid, particularly delicate, set the accuracy of printing 0.3mm can achieve the accuracy of PLA 0.1mm! Q1. What is your company product? 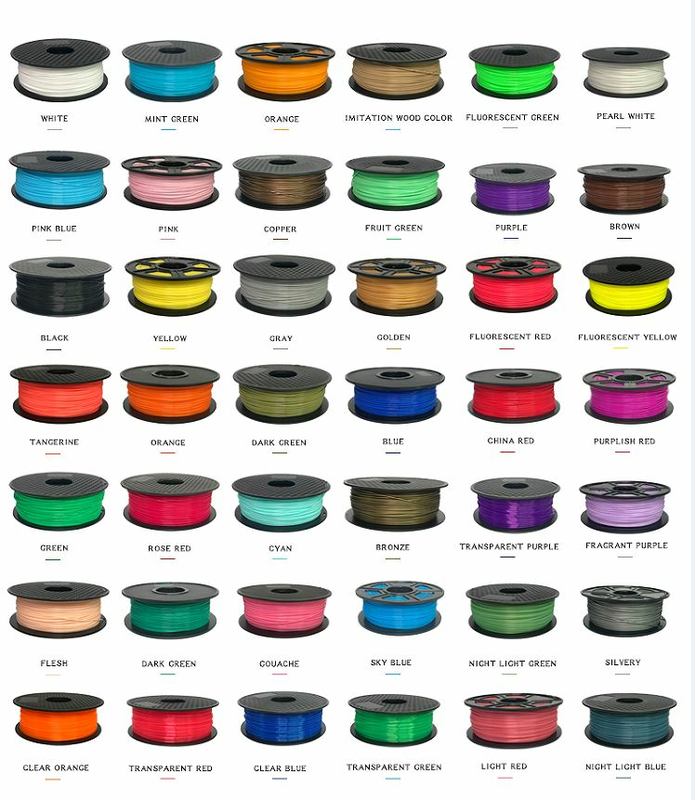 A: Our main product ranges cover 3D printer, 3D printer accessories, 3D printer mainboard, 3D printer filament etc, with good quality and factory direct price. Q2. Can I customized the products? A: Yes, our product is customized, any specification will be accepted. Please kindly tell our your request. Q3. Could you provide sample? A: Yes, we can offer the sample, but you should pay for the freight.Within 1-3 days we will send the sample to you, after payment.